The poster for the 2015 Baker Splitfest is ready. This year’s event is shaping up to be great. The dates are March 27th, 28th and 29th, 2015. This is also the same weekend as the Baker Beacon Rally so you can tour and get some beacon practice. Even if the snow is questionable the raffle is going to be amazing! We have Boardworks Tech Shop doing free waxes at the event! 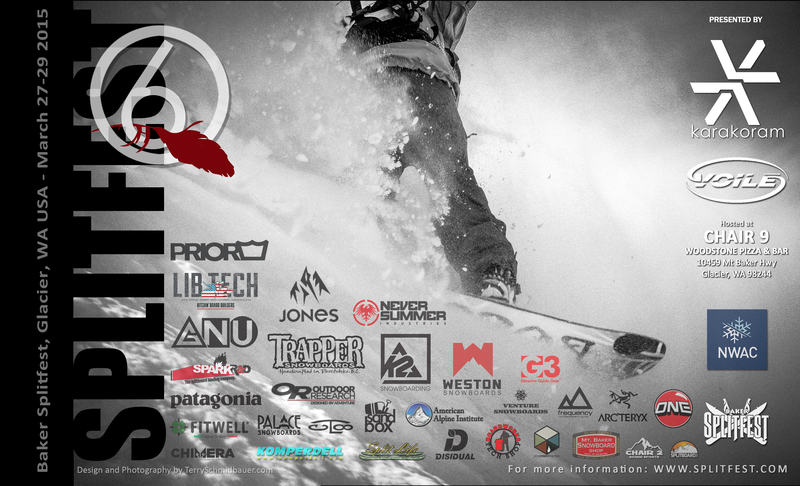 Palace Snowboards and She-Jumps are leading a women’s tour, sign up on Facebook. And as the event gets closer watch the website and Facebook page to sign up for demos.